In the field season 2014, the 60-strong excavation team uncovered finds from all periods of the 2,000-year history of the cult site, such as the thick enclosing wall of the first Iron Age sanctuary or the foundations of the main Roman temple of the god Jupiter Dolichenus, who became one of the most important deities of the Roman Empire in the 2nd century A.D. His sanctuary is situated close to the town of Gaziantep on the 1,200 metres (3,900 feet) high mountain of Dülük Baba Tepesi. 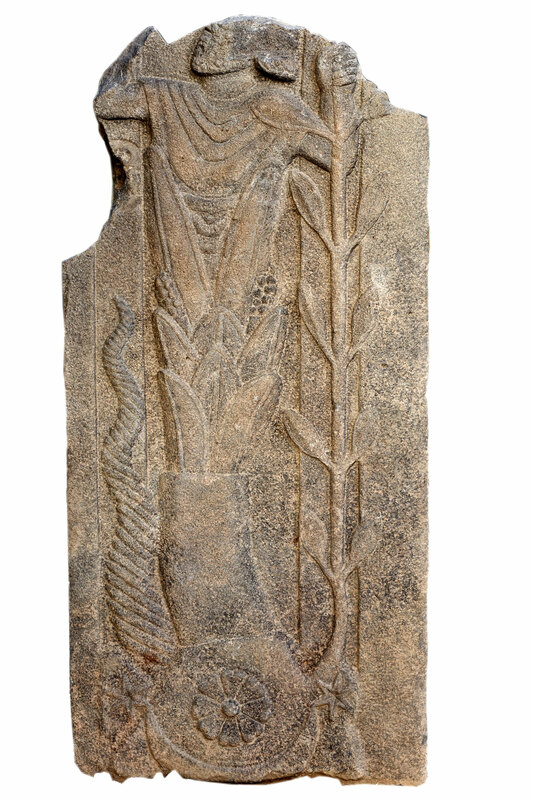 The archaeologists found the stele in the remains of the Christian monastery, which was erected on the site of the ancient sanctuary in the Early Middle Ages. Archaeologist Blömer described the depiction: “The basalt stele shows a deity growing from a chalice of leaves. Its long stem rises from a cone that is ornamented with astral symbols. From the sides of the cone grow a long horn and a tree, which the deity clasps with his right hand. The pictorial elements suggest that a fertility god is depicted.” There are striking iconographic details such as the composition of the beard or the posture of the arms, which point to Iron Age depictions from the early 1st millennium B.C.